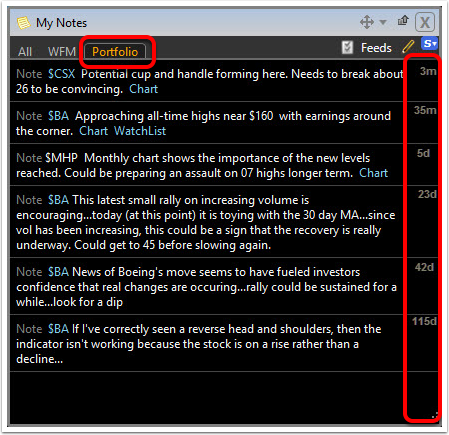 Personal Notes are a way to integrate thoughts and analysis on individual symbols or incorporate a trading journal . 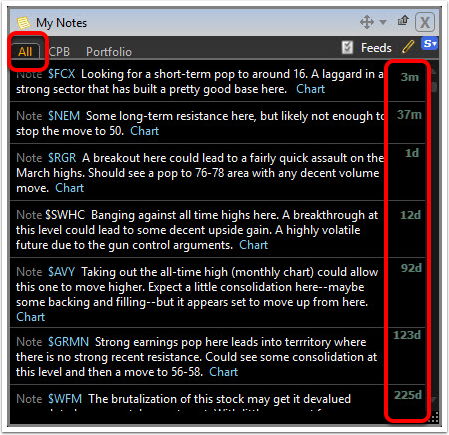 The My Notes stream organizes these notes historically. 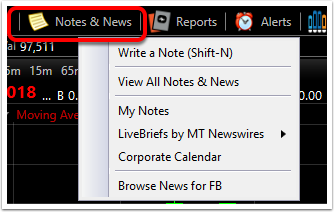 Each time a symbol is viewed on which a note has been written, the note appears in the Notes & News window. The All Tab. Arranges all personal notes on all symbols in order from the most recently written notes back. The Symbol Tab. Contains all personal notes for the active symbol selected arranged from the most recently written notes back. In this view, change symbols and the personal notes for the new symbol load in the feed. The Portfolio Tab. 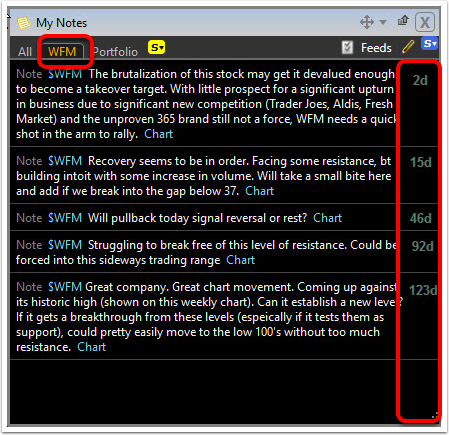 Contains all personal notes for the symbols in the live or practice trading portfolio currently selected arranged from the most recently written notes back. The ticker symbol (in blue) is a linked symbol. 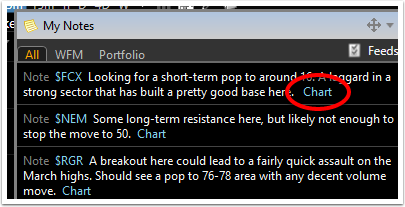 Click on it to make that symbol the active symbol on the chart. 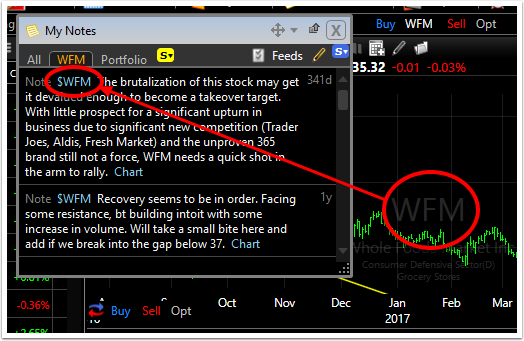 When you choose a ticker symbol, any personal note written on that symbol will automatically appear in the feed window. 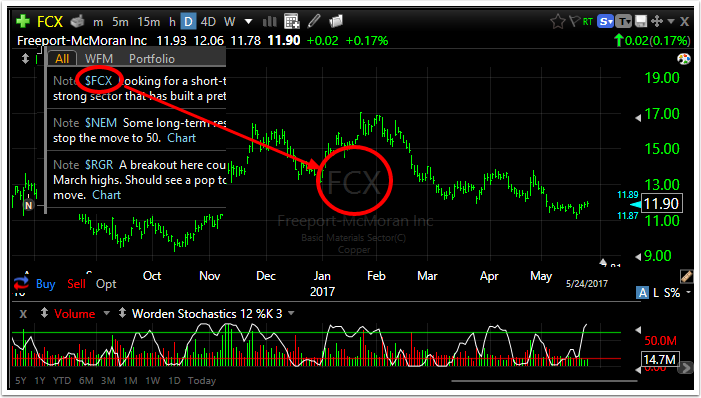 To see the chart that was attached when the note was written, click on the Chart link at the end of the note text. 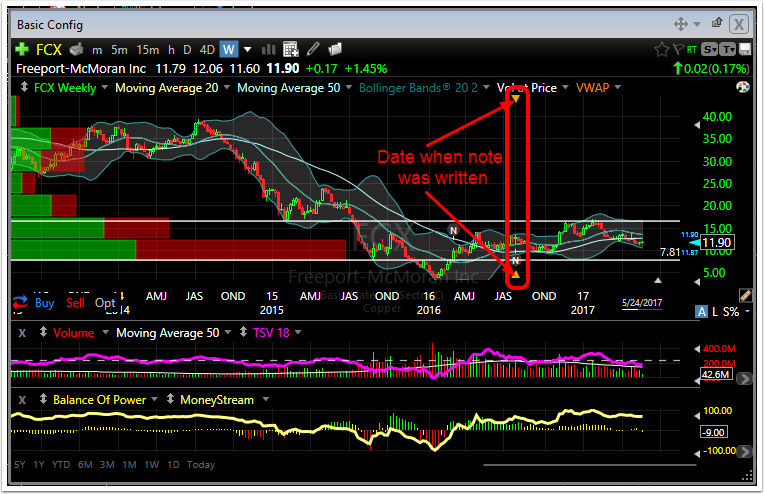 The attached chart containing the indicators that were present when the note was written will show when the note was entered (orange arrows/line) and what has happened to the stock since the note was written. Hover the mouse over the note until the X (delete) button becomes visible. Click the delete icon and confirm to remove the note.